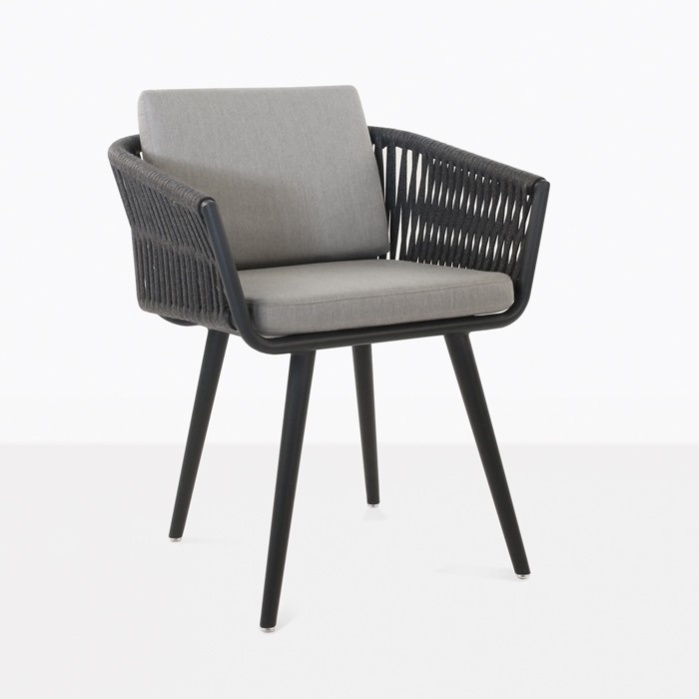 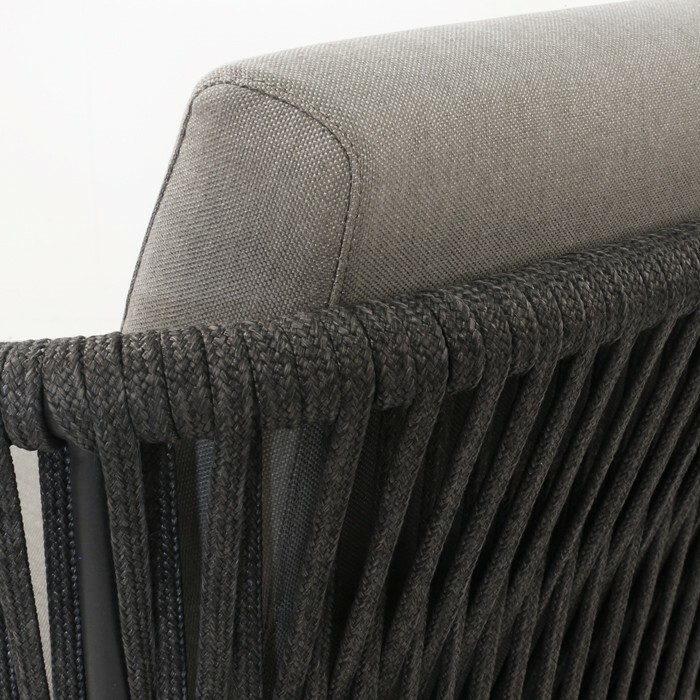 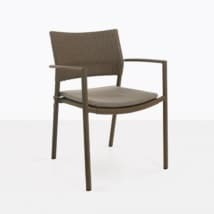 The Tessa Rope Outdoor Dining Chair is dynamic and has so many interesting features. 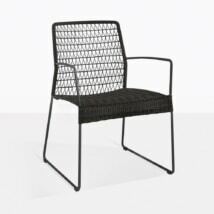 It’s innovative design uses premium materials that are perfect for outdoor use. 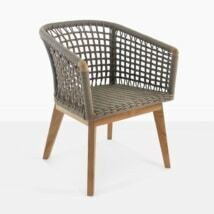 The shape is sophisticated, modern and chic and it compliments many styles of outdoor dining tables. Just like the name implies, the Tessa Rope Outdoor Dining Chair uses rope as one of its main features. 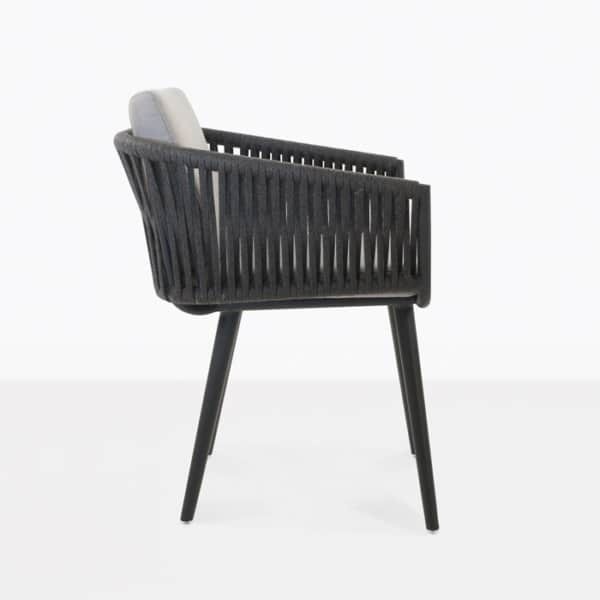 Italian outdoor rope made of polypropylene fibers is carefully woven around the chair frame. 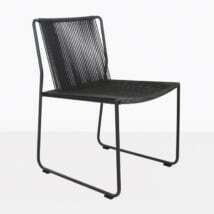 The frame is made with powder-coated aluminum, which is strong, yet lightweight and easy to move. 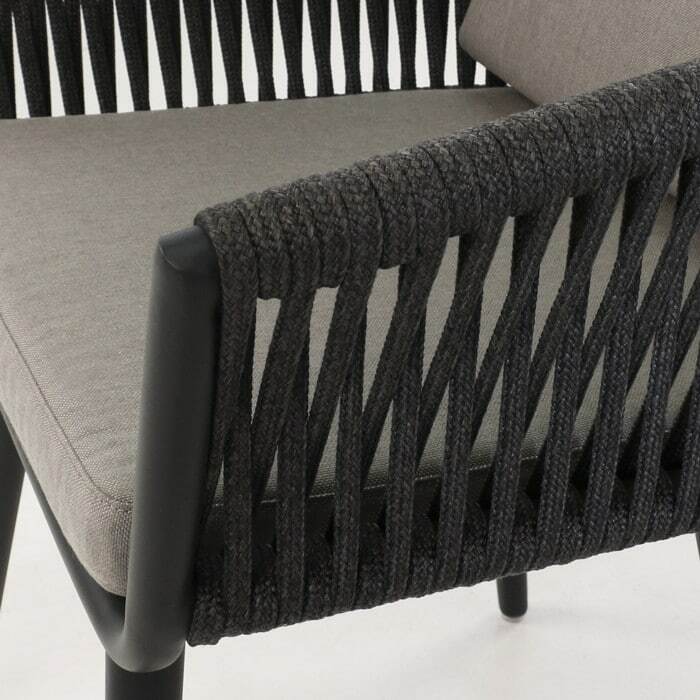 And for extra comfort we added two beautifully tailored Sunbrella® outdoor cushions in grey. 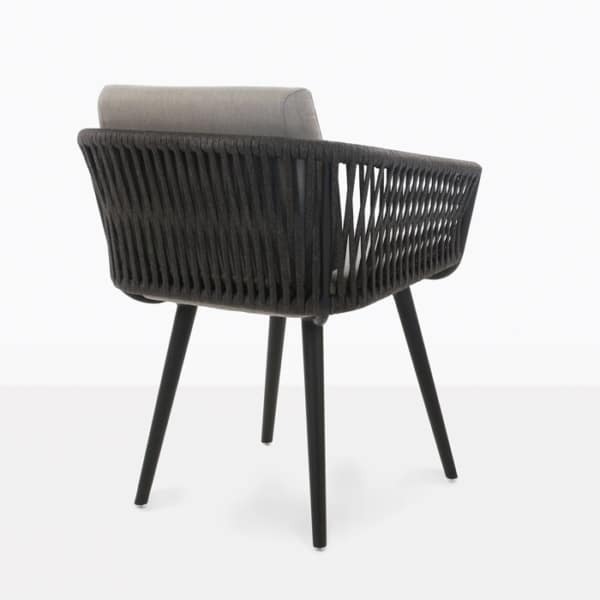 W24.4" x D24.4" x H32.2"
Teak Warehouse offers many dining tables that will go well with the Tessa Rope Outdoor Dining Chair including our range of a-grade teak, reclaimed teak, and raw concrete outdoor dining tables. 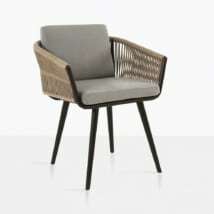 You can select any table you like; it all depends on the style you are looking for.